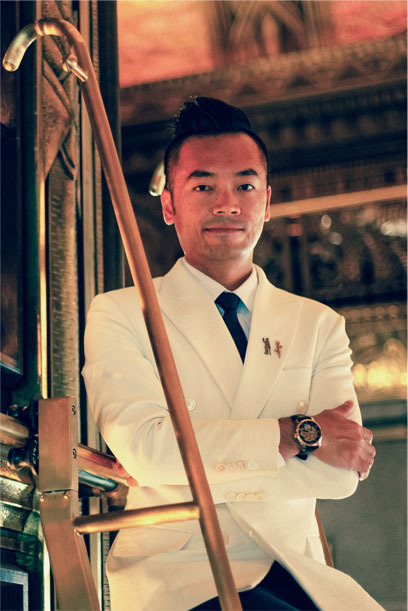 San Francisco-born Jesse Vida has spent over twelve years bartending at award-winning venues in San Francisco and New York City before joining the team at ATLAS in Singapore. As Head Bartender, Jesse brings his creativity and finesse to the dynamic team. 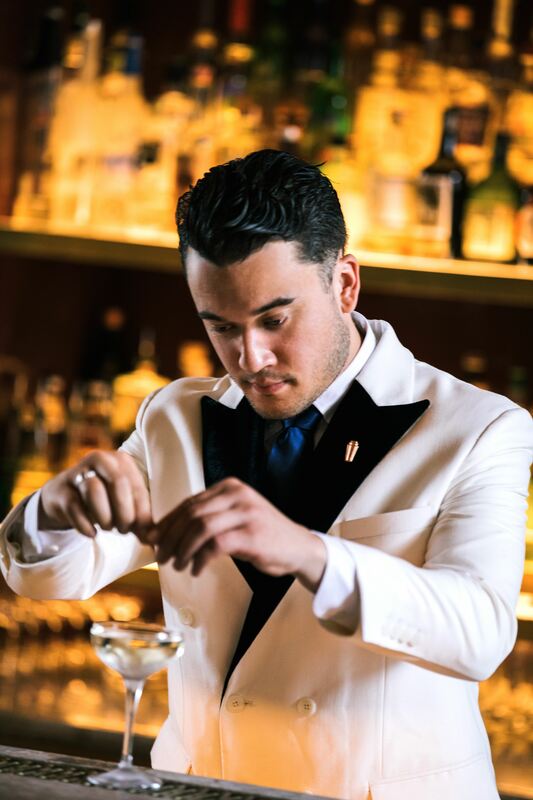 Having had the opportunity to work with world-class drink creators, Jesse aims to deliver elegant Art Deco-inspired cocktails and an unforgettable experience that guests can look forward to at ATLAS. Jason and team have scoured the globe to build and maintain one of the most formidable gin collections ever assembled.. Hailing from a family of bar owners, an International Bartender of the Year finalist, winner of the Beefeater 24 Global Bartender Competition 2013, and the co-creator of an award-winning gin for AUSTRALIAN distiller Four Pillars, it’s an understatement to say that our Master of Gin knows this juniperously delicious liquid intimately, and is ready to share his expertise with ATLAS guests. Born and bred in Singapore, Jonathan “Bravo” Teo is the official Gin Researcher at ATLAS. A master of all things spirits, bar design and sourcing, Bravo started his career in gin research right out of university where he studied political science and marketing. Fast forward to the present moment, Bravo is in charge of the maintenance and expansion of the ATLAS Gin Collection. 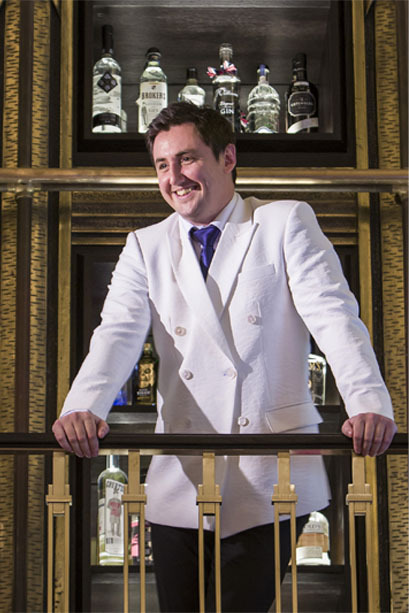 He can also be found at ATLAS’ Gin tower every fortnight, showing our guests around the immense collection of gin he helped to assemble and manage.